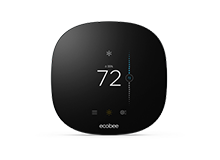 Southern California Edison (SCE) wants to reward you for conserving energy by giving you a $75 bill credit for enrolling your ecobee Smart Thermostat into the “Smart Energy Program”. Also, by allowing adjustments to your thermostat on the hottest summer days, you can also earn bill credits of up to $40/year. 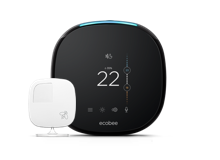 How it works: "Smart Energy Program"
On really hot summer days when demand for electricity is highest, your ecobee thermostat will be automatically adjusted by a few degrees for 4 hours. 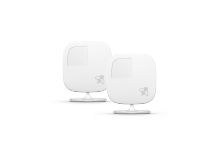 These will only occur on non-holiday weekdays between 11AM and 8PM PDT. Apply to the "Smart Energy Program". Signing up takes only a few minutes, but make sure to have your Southern California Edison Service Account number ready (10-digit number starting with a 3). After being approved, you'll see a $75 credit on your next SCE bill. And by allowing adjustments to your thermostat on an event day, you can also earn bill credits of up to $40/year from SCE. Southern California Edison is a registered trademark. All rights reserved. This program is funded by California utility customers and administered by SCE. Initial incentives to join SCE’s program and ongoing performance bill credits are solely funded by SCE under the auspices of the California Public Utilities Commission. The program will continue until funding is exhausted or the program is terminated, whichever comes first. Program is subject to change without notice.